Can someone suggest some good source to learn requests module completely please? 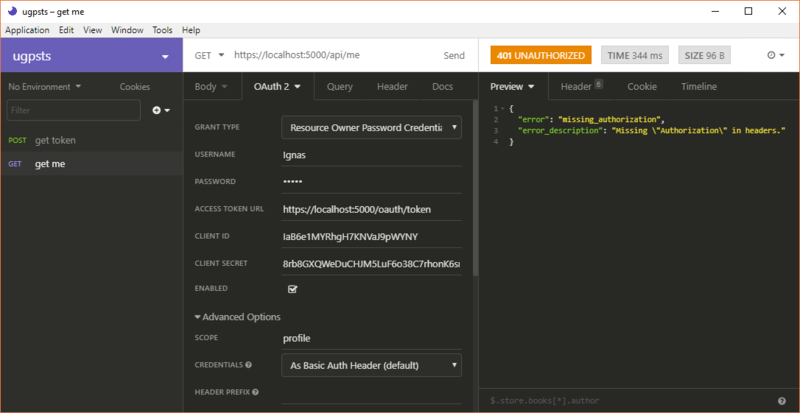 How do you find granted scope in Authlib loginpass? 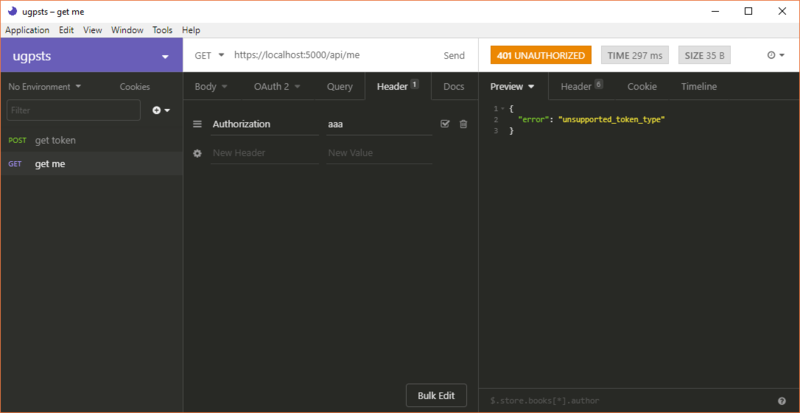 How to send a form via postman/insomnia http client on a Laravel controller? I launched this example server and registered a user app. I am trying to simply see something at least working, but it is pretty difficult. I am not sure if this authlib library is completely messed up or am I doing something wrong. So I fill everything like this, and get a response, that Authorization is not provided in header. If I switch to Headers tab and add header named "Authorization" and write something in value field, I get response that I provided invalid token. 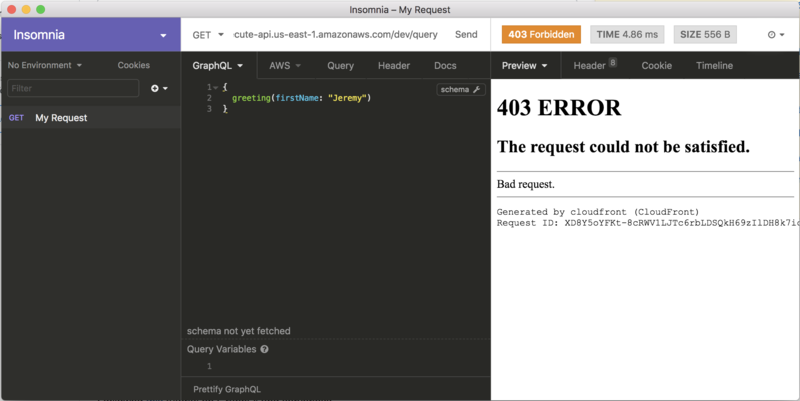 But as I understand, Insomnia handles this and 1: gets token 2: performs request that I want (in this case GET:/api/me). So where is problem, why this library won't work as expected? I have been trying hard to search/ learn requests module but not getting anywhere. Please suggest me some good site/ blog or anything that could help me. which has explained all the related methods but i don't know how (and to some extent why) to use some methods? which is developed by developer of request module but i'm not aware of how to make use of it? Like how can i practice methods for e.g. using api keys, why and when do we add headers explicitly ? what is major difference between requests.request and request.get etc. Some examples will be helpful. I want to scrape announcements information from the https://nseindia.com/corporates/corporateHome.html?id=allAnnouncements. Specifically i want to goto Corporate information tab on left hand side of website and then open the link of corporate announcements under equities. After that i want to post information of certain equity symbol in text box and download the output through the export csv link on left hand side of the page. Need to know how to request it. #TODO set an option here or something to check alg in token? #is this needed or how to do this better with the library used? I'm setting up loginpass with an OAuth2 backend; Strava. I'm requesting a scope named activity:read_all. During authentication, the user can change the granted scopes and their selection is passed as URL parameters to the redirect URI. I can view the correct parameters in request.args['scope'] and add them manually, is this the correct approach? I have two applications, the first one is an OAuth 2.0 server and the second one is an isolated application, present in another repository. As the architecture is based on microservices, to create this decorator, I'm duplicating code from OAuth 2.0 (token model and user model) in the second application, besides that, because the fact that I need to connect to two databases on the second application and the user and token tables are duplicated in the second application, when I generate the migrations of the second application, the SQLAlchemy track them and also generates it's structure on the second application' database, but when a token is checked the OAuth 2.0 tables are used to check the token, even if I inform which database I want to connect to __bind_key__ = 'oauth2', for more details see this thread. How can I create a require_auth decorator to use in another application without inform a token model ? Extra: SQLalchemy orm skip already-existing tables on create, but in my context I need to ignorate a table that don't exist in the database. I followed the first part of this tutorial (until code snippet 4) on GraphQL and serverless. 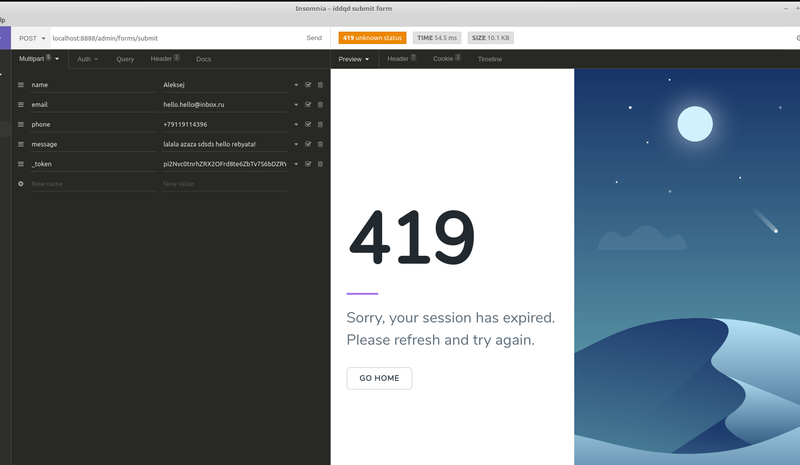 My problem is that when I attempt to make the same query with either Insomnia or Postman, I get 403 error. I'm having a hard time configuring Insomnia... I always have a "404 Not Found" status no matter what I do and I basically don't understand what I'm doing wrong. I've created a workspace, an environment and I'm trying to test my API but I had no luck so far. I've looked for a tutorial but found nothing that can apply to what I'm trying to do. I don't know what kind of information I could share so feel free to ask.